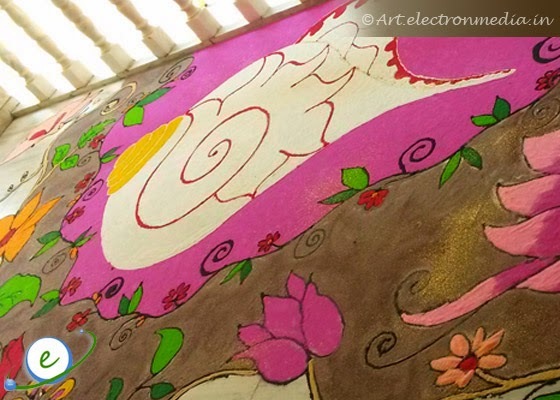 Here is one of the auspicious symbolism of Hindu religion in Rangoli Art. 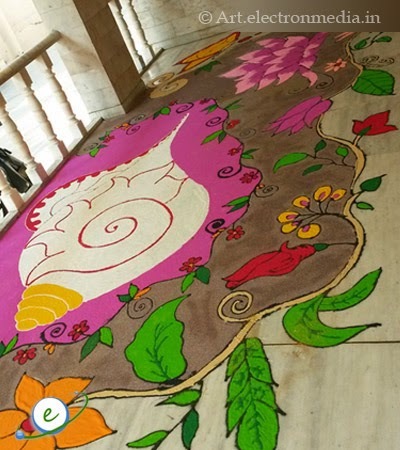 Conch shell or Shankha Rangoli. As per Hindu scriptures shankha represents the fame, good luck and prosperity and association with lord Vishnu. 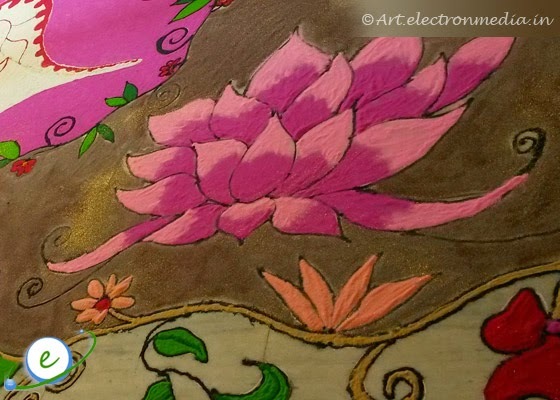 This rangoli used nice color combination to represent the surrounding sea and beautifully drawn the shankha symbol and decorated with lotus, flowers and leaves designs and also created the species sea snail. 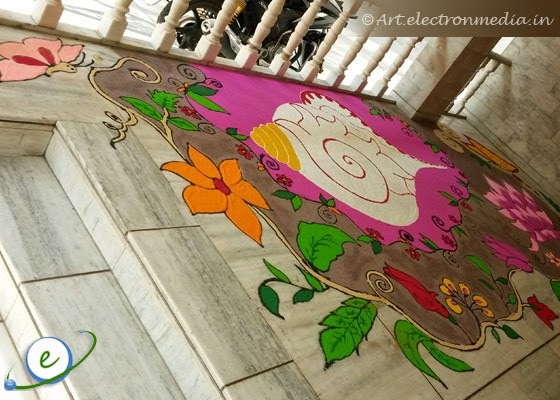 Incredibly neat Rangoli art credit goes to Jyoti Mulani.